Trying to select the right Bar Prep Course can be a daunting task. There is so much information to digest with so many different courses to choose from which is why we’ve done the work for you, to make the selection process easy. The difference between successfully passing or failing the Bar exam largely depends on how well your prep course prepares you. Using Bar exam study materials that don’t match your unique learning style can cause you to score lower and even fail your exam, costing you months time and additional exam fees. We’re here to make sure that doesn’t happen to you! We have researched and reviewed all the Bar exam prep courses below so you don’t have to! The comparison chart will help you determine which Bar review course will best fit your needs. Flexibility: BarMax is available online, but also in app form. They give you access to stacks of books through the app makes this course the easiest to use no matter where you are. Studying for the bar exam can actually be fun when you can do it on your iPhone or iPad on the train, at the gym, or a tropical beach somewhere. Best of all internet access is not required to access so you can view it even in places without cell service. Value: At just under $1,499, BarMax Bar Exam Review’s comprehensive state course price is much lower than the competition. The price also includes lifetime access to audio lectures, corresponding black-letter law outlines, and flashcards. The course also features more than 1,750 real multiple-choice questions (MBEs), real practice essays, real performance test (PT) questions, personalized writing revisions, analytics and customer support by phone, email and in-app message boards. For everything you get, you can’t beat the price! Study Planner: BarMax includes a study calendar that sets daily assignments and a detailed overview of the material, including how much and when you’ll need to study. The calendar default suggests a study plan of 15-25 hours per week for 12 weeks. 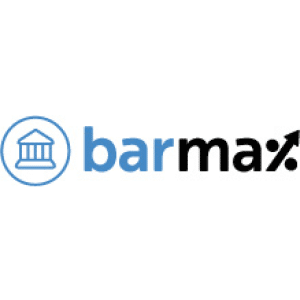 Additionally, if you would like to start your Bar prep sooner BarMax is the only review course to offer instant and lifetime access. You can buy now, start studying and take the exam whenever you’re ready. Financing Special: BarMax offers 0% financing along with their lifetime access. Bottom Line: In addition to providing a flexible BAR study course, BarMax also offers flexible pricing with their 0% APR financing plan for enrollment. A detailed study planner more than justifies the cost of admission. Comprehensive Bar Course: Kaplan’s Complete Bar Review Course contains a huge amount of resources and is available in almost every state. The Kaplan Bar Review course features access to unlimited essay grading, live lectures (in-person, or live-online, and on-demand), full-length simulated exams with review, a final countdown study plan, and more than 4,000 exam-like MBE questions. Structured Bar Program: Their course has an easy to follow outline that helps you stay focused. The overall structure of their Bar prep course program includes approximately 7 days of MBE prep, up to 36 days of comprehensive subject review (varies by state), 4 to 5 days of simulated exam preparation for each part of that state’s exam, and about 2 weeks (varies by student) for a final countdown study plan. Course Flexibility: Kaplan not only provides their complete course in nearly every state, but students have the option to attend course lectures live online. In addition all students will have access to their Online Bar Lecture Library where they can review the course lectures and take notes on-demand. They also have a mobile app so you can access the content no matter where you are. 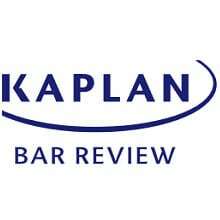 Bar Review Course Price: Kaplan has a tremendous amount of content but also happens to be one of the most expensive courses out there. Prices for the Complete Bar Review Course can be as low as $1,895 in some states, up to around $3,600 in others. Bottom Line: Kaplan’s BAR review programs are flexible, easy to follow, and available in a wide variety of locations. The unfortunate downside to all of these features is an intimidatingly high price tag. Licensed Practice Questions: AdaptiBar’s practice questions are licensed questions that have been released from previous bar exams. By practicing with licensed MBE questions (instead of simulated questions written by test prep companies) you’ll be more accurately prepared for the questions you will see on the actual MBE exam. AdaptiBar features over 1,700 MBE practice questions, giving students a lot of 1st-rate practice material at a great price. Adaptive Learning Technology AdaptiBar’s intelligent learning software automatically adapts questions to your ability level based on your previous performance. Students are presented with certain types of questions until they consistently perform well on that particular type. The Past Performance Table displays analytics on how many questions have been answered and calculates the accuracy of your answers, so you’ll be able to target and improve your score on different areas. Restricted to MBE Exam: Students looking for a comprehensive Bar prep course to help them cover all the material on the bar exam may be disapointed, as AdaptiBar focuses exclusively on the MBE portion of the exam. As a result, AdaptiBar is most effective when used as a supplement to other courses. Bottom Line: Implementing real questions from the BAR exam alongside analytical tools, AdaptiBar offers an impressive study course. It’s just too bad that it only covers the MBE portion of the test. Bar Prep Price: Themis Bar Prep Course provides an all around comprehensive program at a reasonable price of $1,695 for all states. Included with the price students get plenty of video lectures and quizzes for each subject on the exam. Plus Themis includes simulated exams, flashcards, over 3,000 MBE practice questions, unlimited essay grading, and 24/7 customer support. Quick Learning Modules: Their video library is made up of quick, and manageable 15-20 minute video segments. This will help you stay more engaged with their lessons and increase retention of study material. Bar Review Availability: Themis’s course is only currently available in 44 states, so some student’s won’t be able to take full advantage of the course. Bottom Line: Themis offers an enticing BAR review package with quick and manageable learning modules at a relatively affordable price. That said, availability is limited in some locations. Well Known: Barbri has along history and has been in the Bar Review space for over 50 years! They have an in-depth bar review course that includes live-online or in-person lectures. Both course types include multiple outlines, online study materials with progress tracking, a mobile app, simulated exams, multiple workbooks, and essay feedback. Available in All States: Barbri is one of the few companies that provides access in every state. This is useful for students who would like help with more state-specific material. Price: Barbri does not have a bargain price. Unfortunately, Barbri is going to be one of the most expensive options. Their prices range anywhere from $1,400 up to $3,895 depending on which state. Bottom Line: Students looking for a reputable BAR exam educator should look no further than Barbri. They’ve been in the business for half a century and are available in all 50 states, but their course is far from cheap. Best Bar Prep Courses of 2019 – Save Big! And if you have any questions, just drop a comment below and I’ll personally help you find the right Bar exam prep course for you!